Alongside Carl Menger, Böhm von Bawerk certainly was the most influential Figure in the emerging Austrian School. His works on capital and the theory of interest, which can largely be seen as a refutation of Karl Marx’ teachings, are especially groundbreaking. 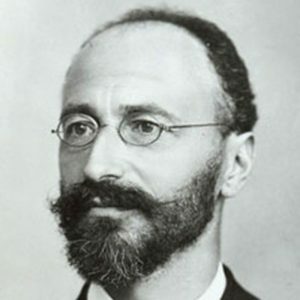 It is also notable that Böhm von Bawerk, who held professorships at the Universities of Innsbruck and Vienna, not only did work in the proverbial ivory tower, but also tried to give practical meaning to the theories developed by him. He served three terms as a minister of finance of the Austrian side of the Habsburg-Monarchy and was well known for scientifically informed decisions. For this reason Böhm-Bawerk’s face could be found on the last version of the Austrian 100-Schilling- banknote. He is – besides Adam Smith – the only economist to ever be printed onto an official banknote.